The Oregon Ducks football team resumed spring practices today after a long holiday weekend. During Oregon’s second week of spring practices, Head Coach Mark Helfrich said the team overall had a ”sluggish” start but finished stronger. Here are some key takeaways from Helfrich’s overall assessment following Monday’s practice. Vernon Adams, Jr. was spotted in Eugene today at the Hatfield-Dowlin Complex during an unofficial visit. Head Coach Mark Helfrich addressed questions about Eastern Washington on Adams at practice today: “At this point, he’s an unsigned guy. He can’t practice or anything like that,” Helfrich said. Morgan Mahalak is making strides this spring, competing for the quarterback position. “Everybody that’s coming in is doing stuff behind the scenes to learn systems. You can tell Travis Jonsen did a great job. 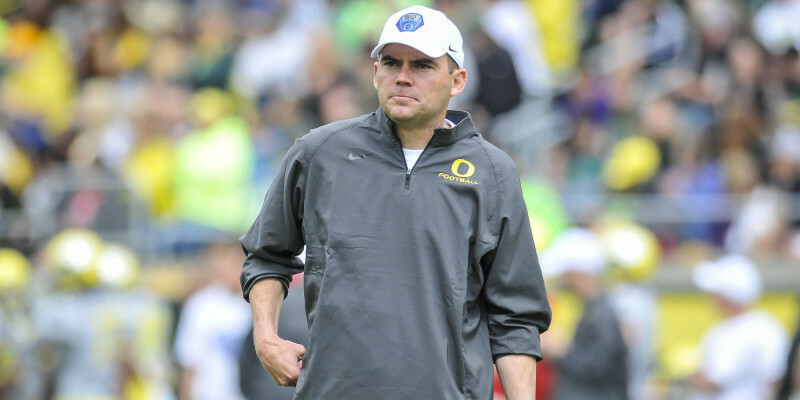 He knows a lot right now,” Helfrich said. “Tyler’s been awesome. He’s been one of our most vocal guys. He really was, other than Hroniss [Grasu], one of the best leaders on the offensive line before he had the nick. But he’s done a great job both this winter and this spring of leading vocally. It’s never hard to hear Tyler out there,” Helfrich said. The 2015 recruiting class attracted some talented freshman, including cornerback Ugo Amadi from Overton high school in Nashville, Tenn.
“Ugo is really athletic. Really athletic. He’s making a flash both defensively and on special teams. He’s a really good football player,” Helfrich said. 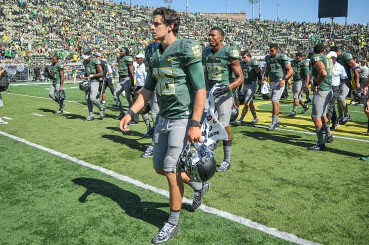 The hopes are high in Eugene for another amazing Oregon football season. And it all starts here in spring practice.